Even if you’ve moved on to the Xbox One or (whisper it) some other company’s console by now, it’s well worth dusting off the old box for a bash at some of these, the best Xbox 360 games according to rave reviews and expert opinion. Look at any console from the past couple of decades and it’s highly likely you’ll find at least one standout example of every kind of game, from racing to RPG, first-person shooter to - if you go back far enough - side-scroller. 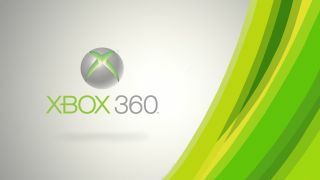 But if the wealth of award-winning, critically acclaimed and gamer-beloved releases that have followed tell us anything, it’s that the release of the Xbox 360 is when things started to get really good. If you like a deeply immersive experience, look to in-depth RPGs that’ll whisk you away to some fantastic mountainous realm patrolled by dragons, or even the turn-of-the-century Wild West. For the logic lovers, there are puzzle and combat strategy-based action adventure games to get your teeth into. Equally, if you just like to live vicariously - we’re talking shoot-em-ups and haring round bends in supercars - there’s plenty of that too. Whichever you go for on our list, you’re pretty much assured of a beautiful, expansive, detailed playing experience untouched by any console before the Xbox 360. This groundbreaking RPG takes the crown for its sheer scale and depth of customisable play. Starting your play as an unnamed prisoner and being able to customise your character from one of ten distinct races makes Skyrim great for those who appreciate the blank canvas approach, and the strategic choice of race plus the endless combinations of combat style make for a truly tailored gameplay experience. There’s a strong focus on narrative and an immersive main quest, but like all great RPGs it offers loads of distractions, offering you an incredibly vast and detailed world to explore, and an in-depth lore to delve into. Really wonderful stuff. The Mass Effect franchise has long been celebrated for its diverse choice-based system of gameplay, ideal for those who like to tailor their own experience rather than play through a set campaign. Ultimately, it allows for each player to have their own unique playthrough, kind of like a Choose Your Own Ending book, and to foster relationships with their crew, each of whom have their own developed backstories, which makes a refreshing change from two dimensional supporting casts. If there’s one caveat, it’s that vehicle-based sequences in the first two titles have been criticised for unrefined gameplay - but for the characters, the storyline, and the rest, reviewers found it’s worth overlooking. Shoot ‘em ups, horseback riding, and revenge - what’s not to love? After a couple of decades of intergalactic adventure across consoles, the Wild West-set Red Dead Redemption was nothing short of a revelation, and that magic still resonates almost 10 years after its release. While preceded by Red Dead Revolver in 2004, this open world game has been the bigger success in terms of popularity with players, and with its immersive story line and impressive scope it’s not hard to see why. As well as a really stonking main quest - who doesn’t love a good rescue/revenge mission? - there are lots of side quests to keep you busy, new gameplay elements like heart-pounding shootouts, and the freedom to simply roam the gorgeous map. Modern Warfare’s trump card is undoubtedly its ability to immerse you absolutely in the task at hand, whether that’s fleeing enemies on the back of a speeding truck or creeping painstakingly through fields hoping to go unnoticed. The secret is twofold: a balance of missions with varying pace that takes you from all-guns-blazing to softly-softly, and a cinematic campaign that players say is nothing short of jaw-dropping. And of course, where would COD be without its genre-defining multiplayer? Whichever mode you play, you’ll feel as if you really are in the field and against the clock, and when you’re in the boots of the SAS or US Marines, that makes for a pretty intense FPS. The 2000s and 2010s have seen more dark and gritty Batman remakes than you can shake a Batarang at, but some certainly stand out from the pile. One such standout act is Arkham Asylum, which allows the player to really get under the skin (or cowl) of the Caped Crusader. Its noirish Gotham is a delight to explore, with diverse enemies, and increasingly creative fighting mechanics to deal with them, around every corner. There’s creeping, combat, excellent voice acting and even better visuals, coming together to form a game that ties every element to its DC Comics heritage without relying on its big-ticket main character for kudos. Racing games have been a staple of gaming since the early days, but recent years have seen them get more sophisticated and good-looking than we can keep up with. Forza Horizon is a prime example of a racing game with more value to it than simply the glory of winning a race by finding a risky shortcut or ramming your nearest opponent. The great balance of racing gameplay and open world exploration adds more variety to the experience, and the multiplayer element certainly doesn’t hurt either. The highest grossest game ever for the Xbox 360, Grand Theft Auto V takes the overwhelming success of its predecessors and builds on it for a more open, playable and detailed world than ever before. Each part of it is beautifully thought through, with lifelike graphics and great voice acting, and the balance of three different perspectives and wealth of side games were a big hit with players. Despite GTA being firmly in satire territory, between a playable torture scene and some notorious mods, the series has understandably courted a lot of controversy, so proceed with caution as this is a game for adults only. If puzzles, brain-teasers and the more creative side of gaming are more your speed than rampaging around with a big old gun, reviewers suggest turning to the Portal universe to get your kicks. This is the puzzle game reinvented, with stunning graphics and a great narrative woven into fun and creative challenges. This iteration includes a co-op mode where you can team up with friends, and a much more involved storyline with a robust supporting cast and development of your own character’s backstory. No matter where you are in the series, Halo will always be the ultimate multiplayer shooter for Xbox, so if you’re more of a sociable player than someone who likes to while away the days on detailed campaigns and endless side quests, it makes sense to add at least one to your arsenal. This third installment comes highly recommended whether you liked the first two Halos or this is your first time stepping into the boots of Master Chief: it feels familiar in its tactical gameplay that has always set the series apart from more rollicking first-person shooters, but there’s plenty of new stuff too. Plus, it bumps up the number of players who can go through the campaign to four, keeping it as the most robust multiplayer experience for the Xbox 360. Undoubtedly one of the most beautiful and atmospheric games for Xbox 360, Bioshock sees the player attempt to navigate their way through an underwater utopia with a distinct Art Deco vibe, all the while on the hunt for its secrets, and being hunted by the dangerous enemies that lurk there. The secret to its success, apart from looking gorgeous, having a creative premise, and starting with a real wallop, is an adaptable AI that makes no two playing experiences alike, and thus upping the replay value considerably. You can also shape the story and gameplay with your choices throughout, so choose wisely, especially when it comes to those Little Sisters and terrifying Big Daddies.